One day after Amazon saved itself untold millions—or more likely billions—of dollars by cancelling its secondary headquarters in Long Island City, Queens, the online retail giant confirmed it was the leading contributor to a $700 million round of investment in 10-year-old electric truck start-up Rivian. In a few years, Rivian-based EV trucks could be quietly picking up and delivering Amazon packages at the secondary Amazon headquarters still being planned for Crystal City, Virginia, near Washington, D.C. Although the Rivian R1T unveiled at the Los Angeles Auto Show last November is a pickup truck, the skateboard-style electric-vehicle architecture underneath easily could accommodate a cube-van “top hat” to make it a Mercedes-Benz Sprinter-style delivery vehicle. 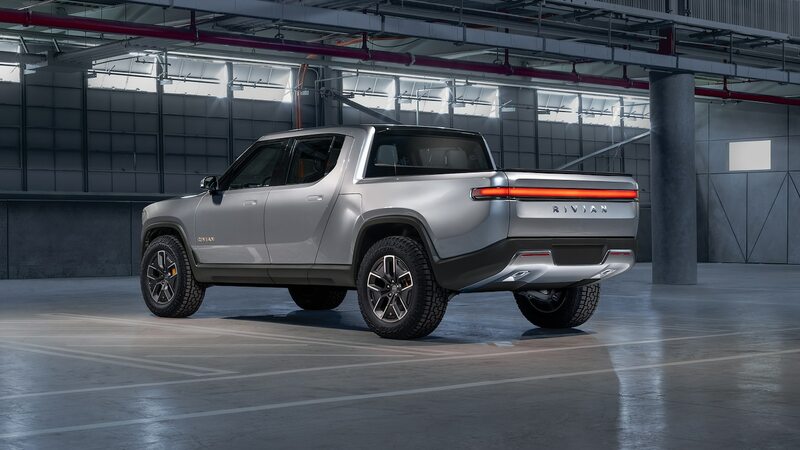 A Rivian sport-utility vehicle called the R1S was also unveiled. Rivian says it will offer battery capacities that will allow for ranges of up to 400 miles on a single charge. No word yet from General Motors, which on Wednesday Reuters reported would also invest in Rivian along with Amazon. The deal with GM and Amazon would make Plymouth, Michigan-based Rivian worth $1 to $2 billion, according to the Reuters report. “We admire Rivian’s contribution to a future of zero emissions and an all-electric future,” was all GM would say in a prepared response to the Reuters report.